This is a dynamic practice of Yin/Yang Yoga! Yin/Yang Yoga focuses on achieving balance between Yin (passive) and Yang (active). Starting with 2 or 3 Yin (passive) poses, students will work to release deep pockets of tightness and stimulate energy pathways increasing the flow of prana. 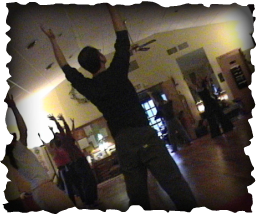 We then move to a more Yang (active) practice with focus on strength and flexibility, followed by meditation/relaxation. ​A Full Moon Salutation is done once a month, on Wednesdays closest to the full moon with folklore about the moon that month. Please be sure to arrive a few minutes early for this class.